What Is Truth? Pilate asked this monumental question a long time ago, but it didn't start or end with him. It has been the penetrating question in the thinking of thousands almost from day one. It reverberates in cloisters and classrooms alike. It mystifies youth and eludes the aged. It tease the philosopher and haunts the skeptic. Fortunately, there is an answer. 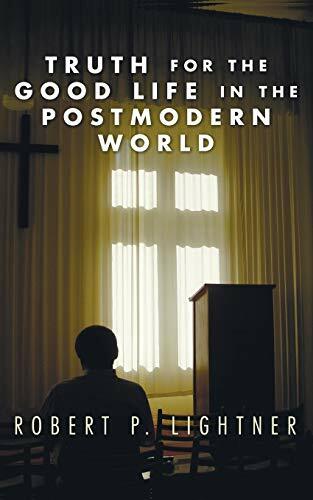 Dr. Robert P. Lightner of Dallas Theological Seminary points to the truth and shows how it opens the door to life at its best - The Good Life. Robert P. Lightner (Th.B., Baptist Bible Seminary; Th.D., Dallas Theological Seminary; M.L.A., Souther Methodist University) is Professor of Systematic Theology Emeritus at DTS. He has taught courses in biblical studies and theology at Baptist Bible Seminary and Dallas Theological Seminary for almost 50 years.